Incognito announces that a multi-country service provider group in Latin America has gone live leveraging Incognito as their primary provider of service provisioning and fulfillment software solutions over fiber and other fixed broadband technologies. Incognito announces that Digicel Group is leveraging the Incognito Fiber Service Orchestration solution to automate the provisioning, activation, and diagnostics of multi-play fiber services. Communication service providers (CSPs) continue to be bullish about their investment in fiber but need to implement new OSS strategies to support next-generation fiber-based services, according to a recent industry survey commissioned by Incognito. Incognito unveils a new solution to help service providers accelerate the transition from fixed-copper based services to innovative IP services over fiber, scale new service rollout, and deliver a great in-home gigabit experience. 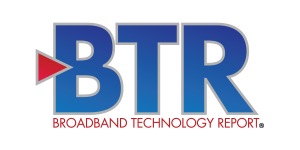 Incognito announces that its Digital Home Experience Solution has received a four-diamond rating from Broadband Technology Report (BTR) in their Diamond Technology Reviews 2018 program. Incognito announces that Globe Telecom, Inc., one of the largest and fastest growing mobile, fixed line, and broadband operators in the Philippines, is in production with Incognito’s Digital Home Experience Solution. Incognito expands operations to serve the company’s growing global customer base and support business growth with the opening of a new satellite office in Ottawa, Canada, and an amplified presence in the Philippines. Incognito partners with Immovate to offer solutions to service providers in the Middle East that accelerate digital home broadband services and deliver a high quality customer experience. Incognito and ASSIA announce a partnership to develop integrated Wi-Fi management and optimization solutions to improve the digital home Wi-Fi experience and boost operational efficiency. Orange Moldova selects Incognito to accelerate Orange’s move into the cable and fiber residential broadband services market. Operations automation and customer care empowerment are increasingly the cornerstone for communications service provider digital transformation targeting the residential network, according to a new Incognito and Analysys Mason white paper. Incognito introduces the Digital Home Experience Solution, a solution to help CSPs easily resolve technical home Wi-Fi issues and improve customer satisfaction. 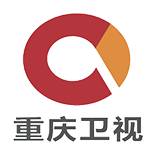 Chongqing Cable Network selects Broadband Command Center from Incognito to configure, manage, and provision the high-speed data devices across their network. Incognito Firmware Management Solution was selected for its ability to create an accurate inventory of device models, vendors, and firmware types without putting any additional strain on the provider’s network or provisioning solution. Incognito announces the appointment of David Sharpley as Chief Operating Officer (COO) to lead the next phase of the company's growth. U.S. and Chilean communication service providers have chosen Incognito’s network analytics solution to improve quality of service (QoS) by enabling network planners to proactively align investments to the necessary service areas. Incognito has announced the latest version of Broadband Command Center, an end-to-end device provisioning and management software offering multi-standard support from a single platform. Incognito has announced that it has acquired Boston-based Active Broadband Networks (“ABN”) Operations Support Systems (OSS) solutions business. The acquisition is Volaris Group’s third acquisition in the Communications vertical market. Incognito announces the opening of a Manila, Philippines, office in an effort to drive business expansion, and assist with customer implementation and optimization across Asia. Incognito has released “The 2016 Incognito Broadband Consumer Quality of Experience (QoE) Survey”, which explores subscribers’ level of satisfaction with their broadband service provider. Guangdong Provincial CATV and Chongqing CATV, two Chinese cable and high-speed data providers with a combined total of more than 21 million subscribers, have selected Incognito Auto Configuration Server to bring new services to market.